After giving bang on performances in his movies and gaining big from the box-office with hits like Judwaa 2 and Badrinath ki Dulhania, actor Varun Dhawan has now bagged one more record. Yes, he has become youngest Bollywood actor to have a wax statue at Madame Tussauds in Hong Kong. 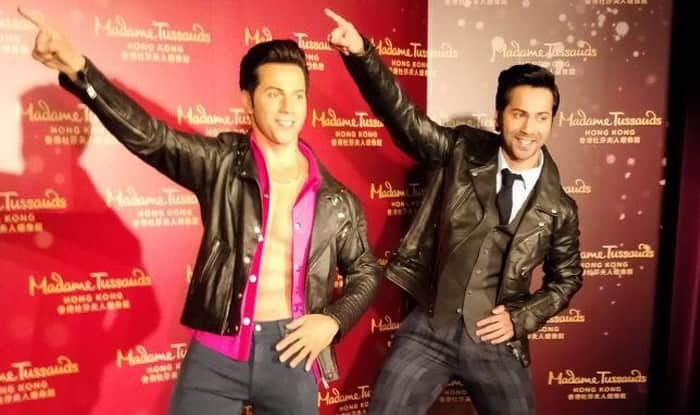 Varun Dhawan took it to twitter to confirmed the news with photos from the unveiling his wax statue and wrote, “All the magic all the love all the way from HONK KONG”. With his wax statue placed in the Madame Tussauds , he joined the bandwagon of A-list stars like Shah Rukh Khan, Amitabh Bachchan, Aishwarya Rai Bachchan, Brad Pitt, Angelina Jolie and others to have their wax statue at Madame Tussauds, Hong Kong. For the statue, Varun is seen doing his iconic Disco Deewane signature step from his debut film, Student of the Year. On the professional front, Varun will be next seen in Shoojit Sircar’s October alongside with Banita Sandhu, which is slated to release on April 13. Varun will also be seen in Yash Raj Films’ Sui Dhaaga in the pipeline in which he will be seen pairing with Anushka Sharma for the very first time.